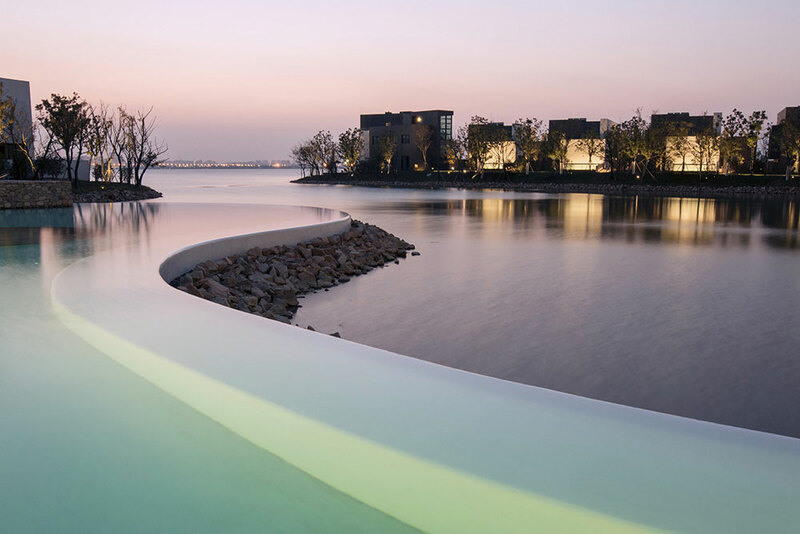 Spanning 189,000 square meters on the peninsula of Suzhou’s Yangcheng Lake, SANGHA by OCTAVE is an immersive wellness retreat dedicated to nurturing one’s holistic wellbeing. In addition, SANGHA (the Sanskrit word for community) is also a residential community with a range of villas, apartments and other living spaces, all created with the idea of mindful living and learning as its theme, thanks to the harmonious unity created between the architecture and its serene surroundings. Combining the best in Asian healing philosophy and advanced Western science, a team of experienced medical experts, wellness trainers, Ayurveda practitioners and TCM doctors at SANGHA’s HOLISTIC WELLNESS CLINIC hosts a selection of curated wellness programs and workshops on premise – including ones that focus on self-discovery, women’s health, stress management, postnatal recovery, Ayurvedic cleansing, and other therapeutic and wellness programs.